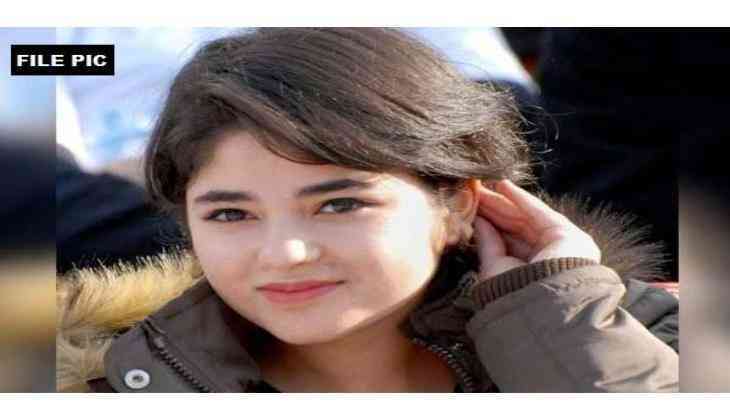 The person accused of molesting actress Zaira Wasim, has been sent to police custody till 13 December. In a trial that took place today, the Police demanded a 14 day-custody of the accused citing that it needed to investigate the characteristic background of the accused, check if he is a repeat offender and verify his basic credentials. The defendant argued that he was sleeping, and thus had no intention of molesting the actress. The accused also alleged that he was raided and arrested from his residence without any notice, and that he should have been given notice to join the investigation. Earlier in the day, the wife of the accused passenger denied the allegation and said her husband's foot was kept on the armrest but not with an intention to harass. The accused was yesterday arrested by Mumbai's Sahar Police and was today brought before the court. The incident came to light when Zaira shared the ordeal she had to go through in an Instagram story. Hours after the actress made the allegation, the Air Vistara apologised and said they had zero tolerance for such behaviour. The airline authorities also ordered an investigation into the matter and said they were talking to its crew and reaching out to fellow passengers to "understand the incident at greater length." Taking cognisance of the matter, Minister of State for Civil Aviation Jayant Sinha said that the accused passenger would be put on the no-fly list if the allegations were found to be true.